By tradition, Saturday here at Gates of Vienna is either Ranting Day or Poetry Day, depending on my mood and circumstances. Due to the political events of the last week or so, I have used up most of my supplies of rant, so today will feature light verse while I replenish my stores of invective. There will be real posts later on, but here we go off-topic for a brief interlude. His poems were characterized by absurd rhymes, extravagant diction, and ridiculously extended (or reduced) meter. His most famous examples were very brief eponymous vignettes about animals, but he wrote many other poems which never escaped into fame, and now reside only in dusty old volumes that can be quite difficult to find. By the time the internet came along, his aficionados had become so few that many of his lesser-known poems are unavailable on the web. The oeuvre of Ludacris or the philosophical ramblings of Eminem are easy to locate in their entirety, but not the poems of Ogden Nash. I discovered this unfortunate fact last year when I went looking for two of my favorites. They are now obscure, and no amount of googling turned up complete and reliable versions. So I went off to the library the other day and borrowed Verses From 1929 On — which had probably lain untouched on the same shelf since the last time I needed it, fifteen or twenty years ago. Finding the poems in question proved a formidable task. None of his books has an index of first lines, and any given title bears only the most tenuous of connections to the poem itself. I had to page through the table of contents four times before I finally found both poems I was looking for. The poem below cried out to be posted quickly, because in a year or two — assuming the economic crisis follows its expected course — his stanzas will no longer be funny. By then they will be too true. Is There a Candlestick Maker in the House? Whatever happens, they get theirs. Their income springs from human errors. Alive with summonses from lawyers. A Rolls or an Isotto. For I am no professional man. And they’re doing fine today. To wit: To err is always humine. I've put: "Progress might have been all right once, but it has gone on too long" in my quote file under "progressives". It captures their ridiculous belief that the history of humanity is one way constant improvement instead of an ebb and flow, with amnesia for past mistakes and refusal to learn from experience, the hallmark of modern liberalism. Instead, libs preach for constant change, as though nothing is worth preserving and change is always for the good instead of often for the bad. "Change" was the campaign slogan that made a back to the future raving marxist POTUS. Of course, when "progressives" have everything to their liking i.e. big government run by their elitist selves running the lives of peasants, then all change must stop. The progressives are busily trying to progress us all over that cliff. Obama even used the term "standing on a precipice" referring to the impending Great Health Care Control Bill. I've bookmarked that. I'll have to see if my library has any of his poems (or if there are any copies at the Sydney Uni library. That one's the biggest in the Southern Hemisphere, apparently). The whole idea of “professional” for a lawyer as opposed to cabinetmaker is as preposterous as calling those in blue-collar jobs “working men.” If truth be known, there are lawyers who are professional only as thieves. On the other hand, most lawyers who make their living that way work far harder than any cabinetmaker can possibly conceive. Just say aloud, “three thousand billable hours.” Maybe that’s one of the reasons why so many of them have lost their souls. When you don’t have time to smell the roses, etc. The whole institution of law has become a trillion ton leaden hobble bringing us down and keeping us there. Maybe that’s one of the reasons why lawyers, judges etc. are predominantly on the side of liberal policies increasing immigration, obsessed with “equal rights” and “nondiscrimination.” The more “beautiful diversity” the lesser the social consensus, the unwritten code of norms, moral codes and expectations by which civilized society runs. Hence the greater the importance of the law as the fixer of norms and the money value of the franchise on which legal “professionals” have a monopoly. swiped it-gave you credit though..
We'll let it pass as one Assyrian for the sake of brevity. Thank you for taking the time and effort to transcribe this wonderful Nash poem. 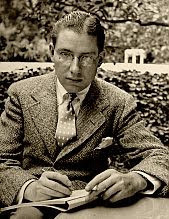 I've referenced your post on blogdennash.org in a look at the relevance of Ogden Nash's works in today's world. I excerpted your post at length which I hope is ok with you. What a delight to find out about your blog! By all means, borrow my transcriptions & commentary. Just FYI, I also transcribed Ogden Nash's St. Patrick's Day poem.